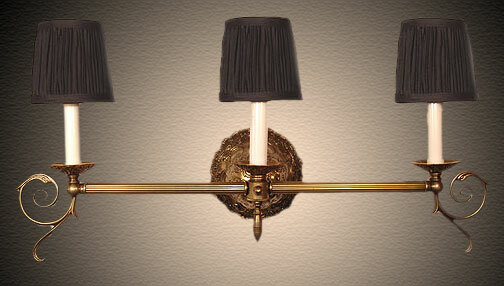 Customize the width on this elegant bar light to create that Classic historic Colonial look in your own style. Shown in antique brass, reeded tubing, with black clip on pleated shades. White, Rose, and Egg Shell shades also available. Width 20 In. / Projection 8 In. / Depth 12 In.